I highly recommend that you follow 1 or maybe 2 major currency pairs. It gets far too complicated to keep tabs on all four. I also recommend that traders choose one of the majors because the spread is the best and they are the most liquid. I personally follow only USD/CHF because it moves the most every day.Follow and understand the daily Forex News and Analysis of the professional currency analysts. Even though this system is based solely on technical analysis of charts, it is important to get a birds-eye view of the currency markets and the news that affects the prices. It is also important that you know and understand what the key technical ‘support’ and ‘resistance’ levels are in the currency pair that you want to trade. Support is a predicted level to buy (where currency pair should move up on the charts), resistance is a predicted level to sell (where the currency pair should move down on the charts). 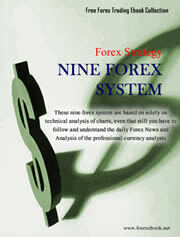 Fortunately, all the best Forex news and analysis is offered free on the Internet.